In February of 2006, the Navigation Support Office inaugurated its Navigation Facility, at the European Space Operations Center (ESOC), in Darmstadt, Germany. This facility has fast become a world-class provider of highly accurate navigation information, significantly enhancing data from key systems (including GNSS and EGNOS). The Facility forms the platform on which the Navigation Support Office expands its activities to meet the growing demand for its products and services. 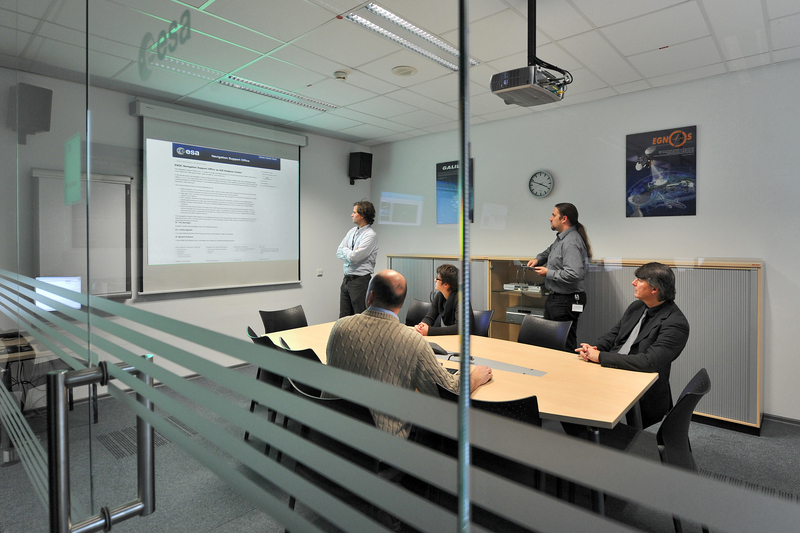 ESOC’s Navigation Facility provides a fully operational environment, compliant with ESA’s ECSS ground segment standards. The Navigation Facility consists of a control room including secure operational LAN (ESACERT – against intruders from outside) with two physically separated computer and data centres for redundancy purposes. An operational system availability of more than 99.9 percent on a 24/7 basis measured over the last 5 years (products delivered every 15 minutes) has been demonstrated.